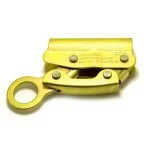 DBI/SALA Rope Grab for use with 5/8 diameter synthetic fiber rope. Mobile type design automatically follows you. 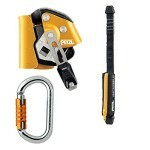 Attach/detach anywhere along lifeline. 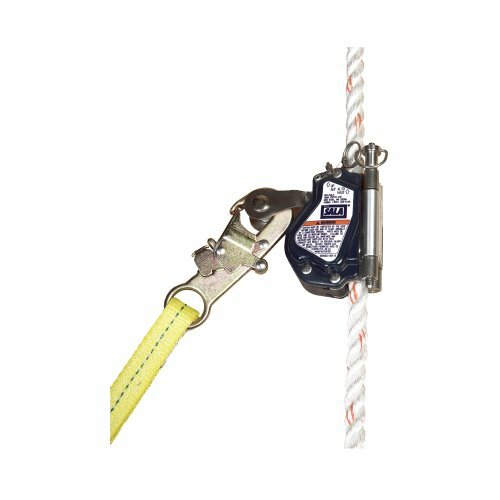 Narrative: DBI/SALA Synthetic Fiber Rope Grab with a mobile type design that automatically follows you, giving you greater freedom and virtually hands free operation. 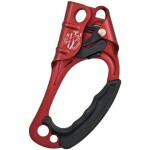 This Rope Grab can attach or detach anywhere along the lifeline and utilizes a cam lever as well as a friction sensitive brake to lock it onto the lifeline in case of a fall, even if the operator holds the device open in a panic situation. 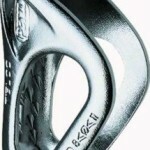 Corrosion resistant aluminum and stainless steel construction. Meets or exceeds all OSHA and ANSI applicable regulations. Size: 5/8 Description: Rope Grab for 5/8 diameter synthetic rope lifeline.